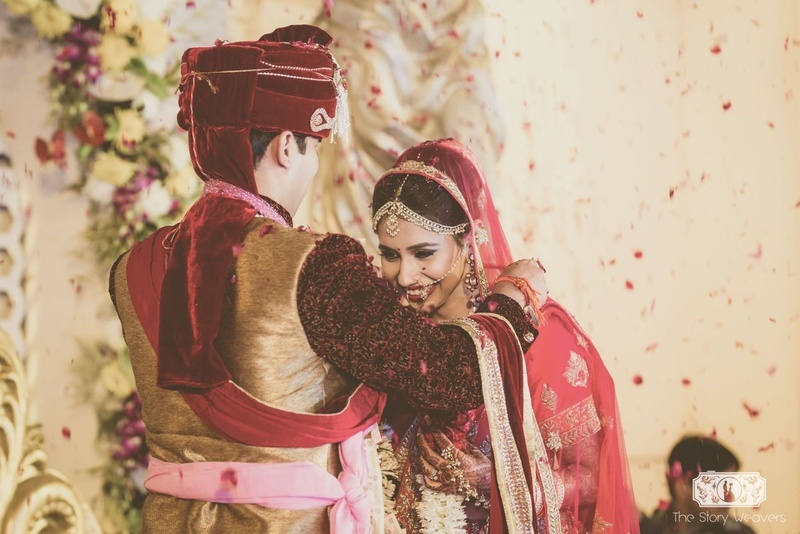 Another beautiful wedding with traditional elements, happy notes and tons of love. 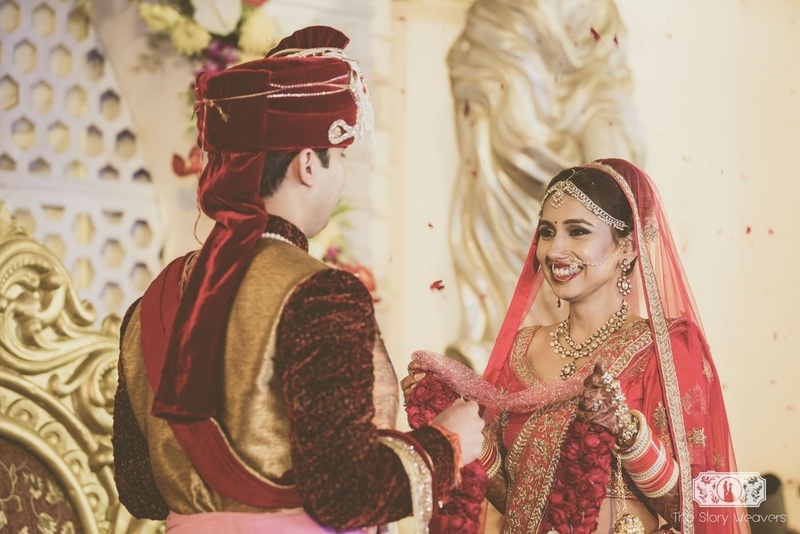 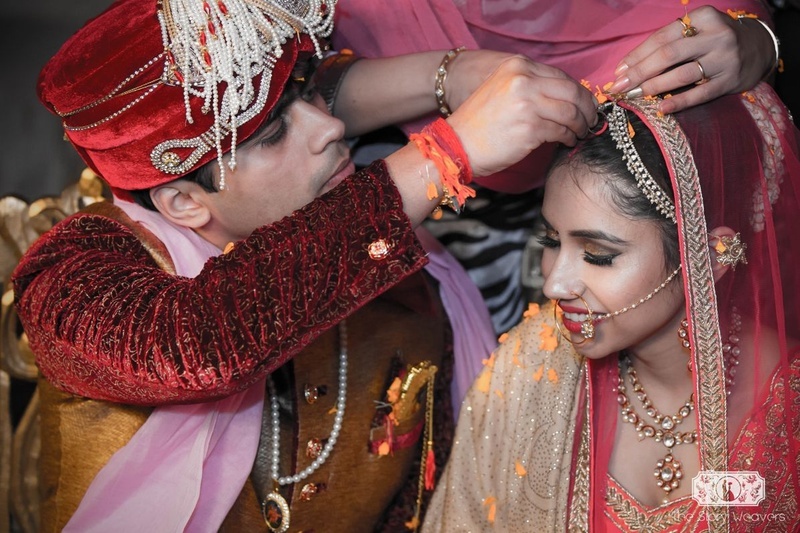 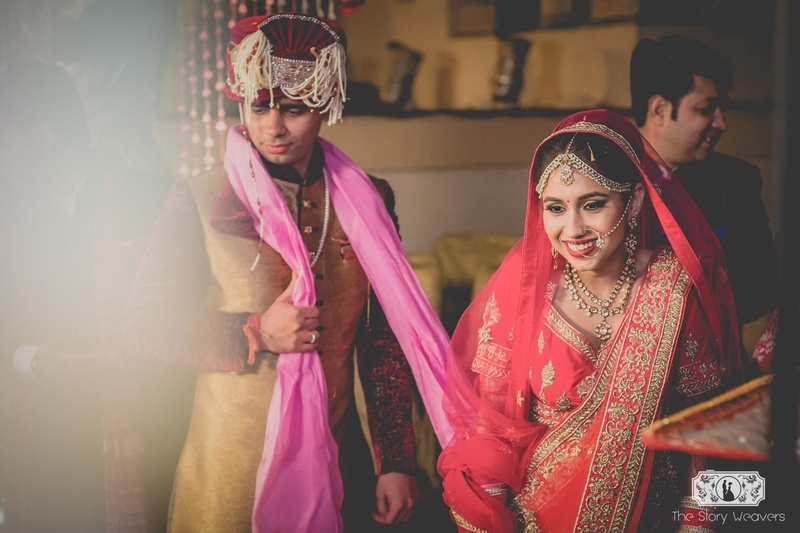 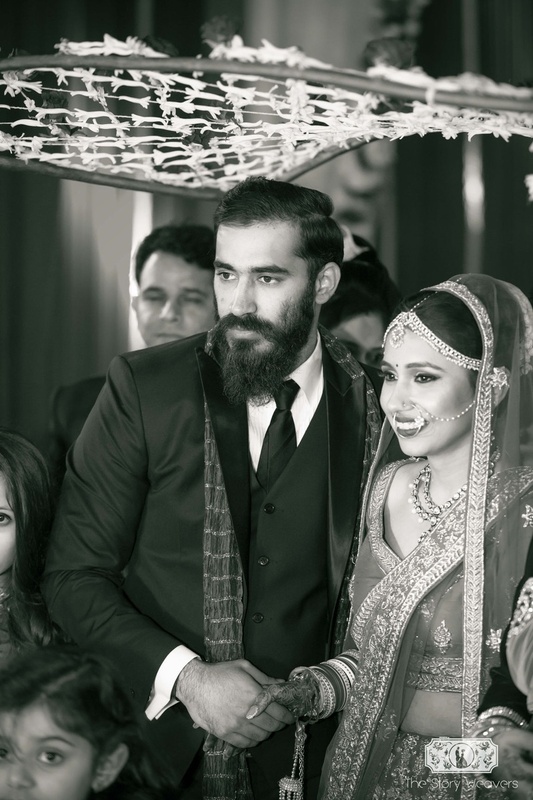 Manitasha and Kunal had their arranged-turned-loved marriage at Ocean Pearl Retreat, Chattarpur, Delhi with splendour. 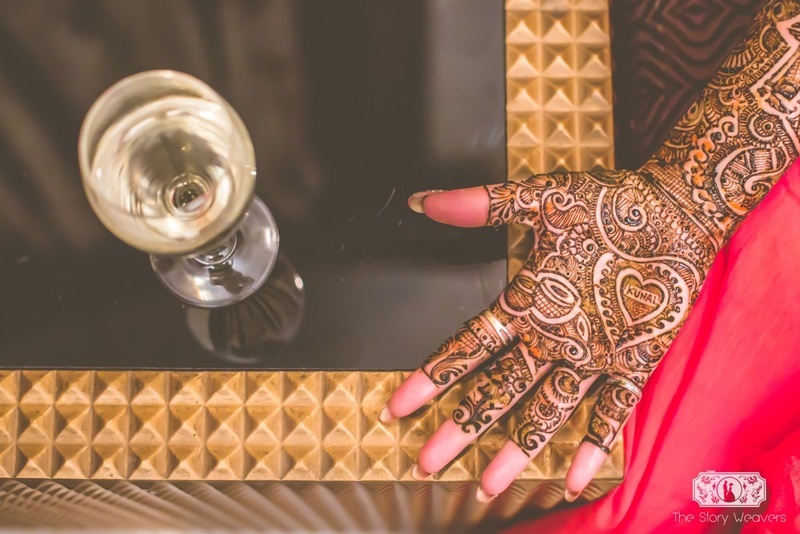 > Manitasha's gorgeous cocktail multi-finger ring. 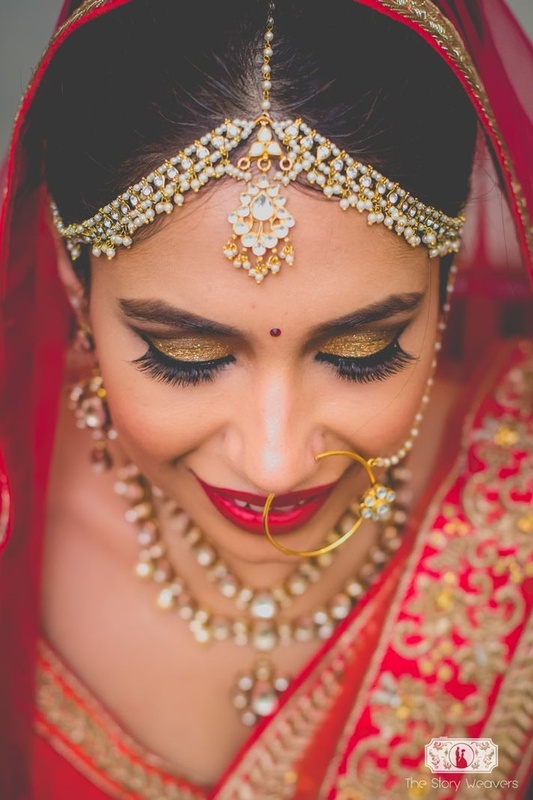 > Her shimmwering gold wedding make-up. 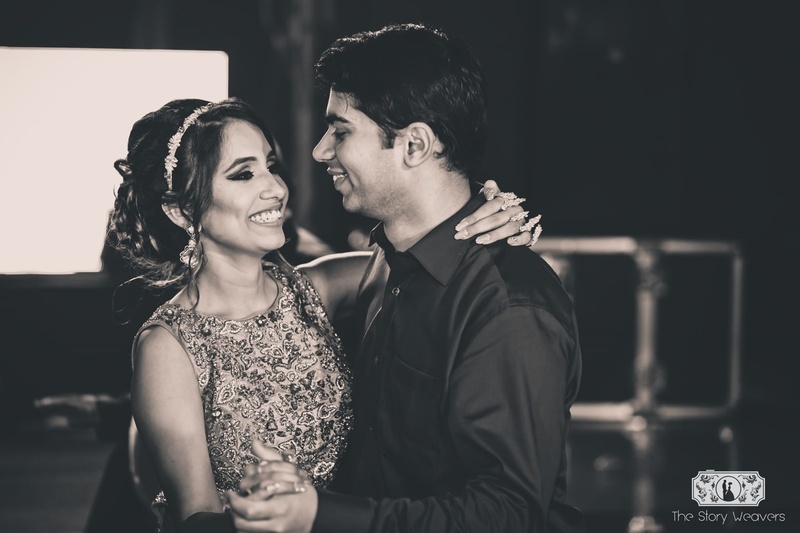 > The Vidaai moments that were too cute. 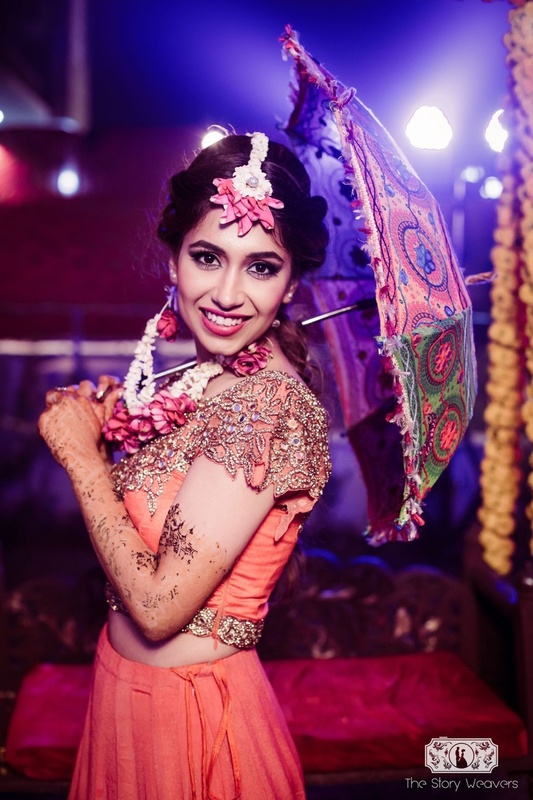 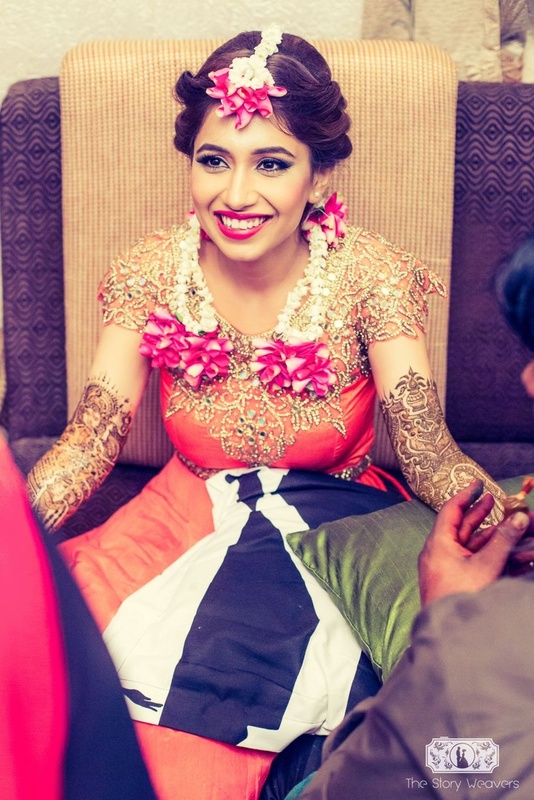 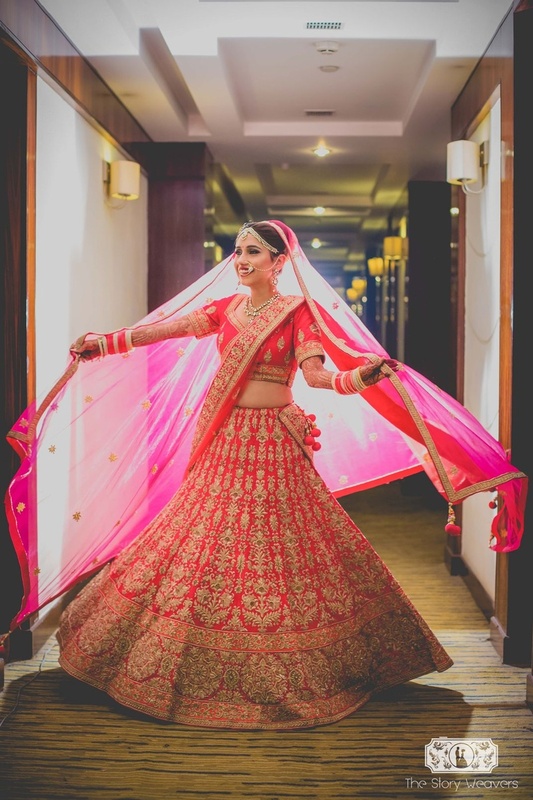 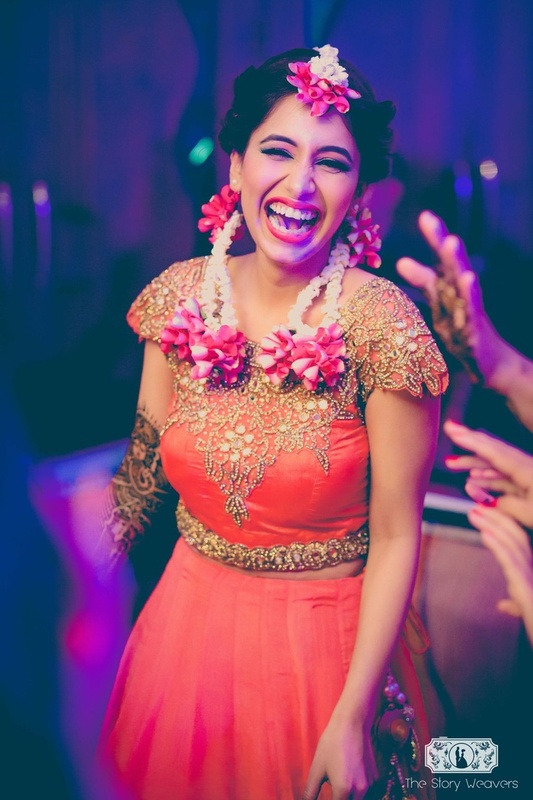 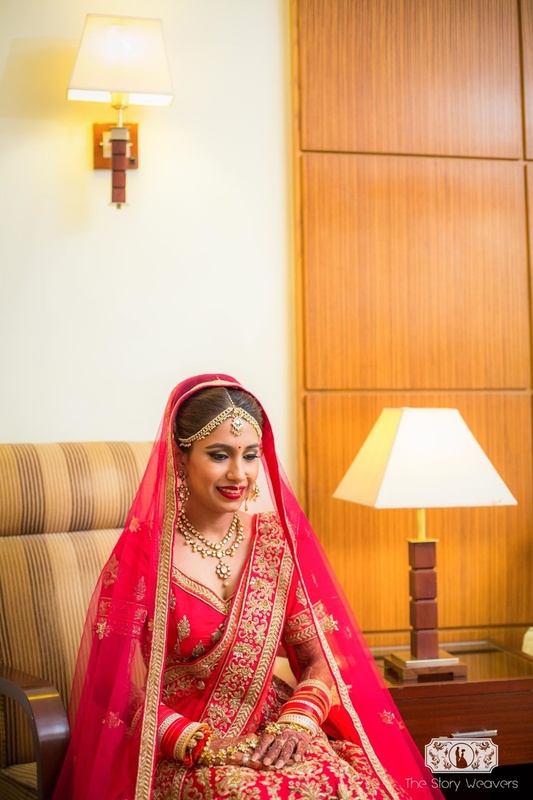 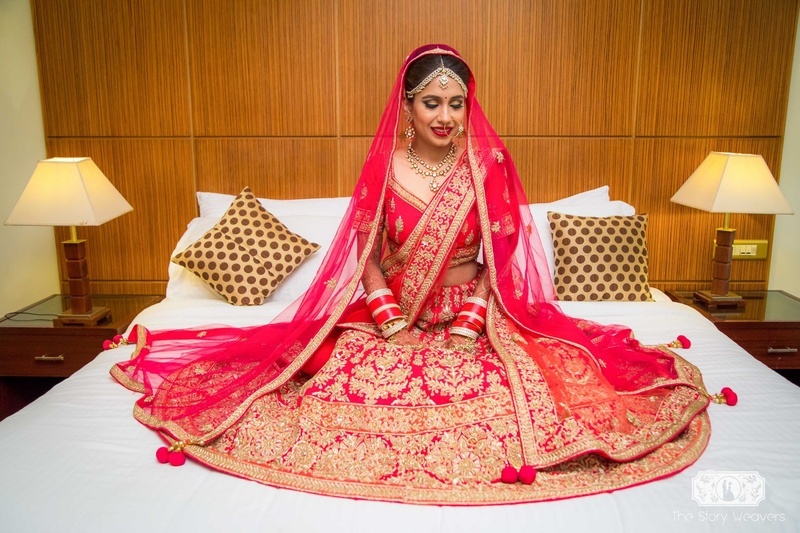 > And of course, her gorgeous lehenga by Shrangar. 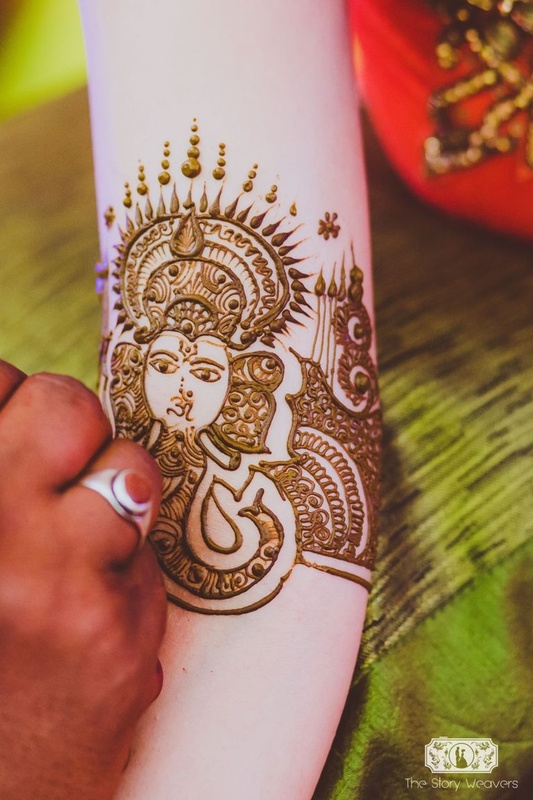 Keep scrolling to see all the beautiful details! 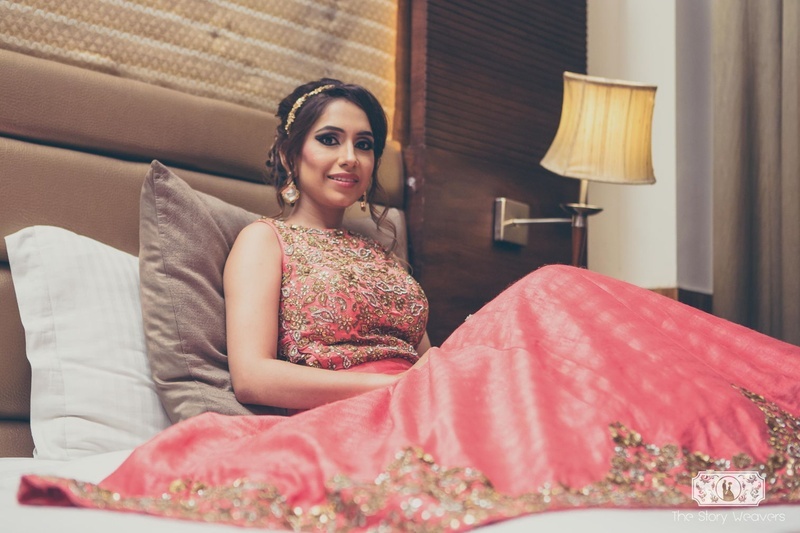 Dressed up in a peach colored lehenga with heavy golden embroidery for the cocktail ceremony. 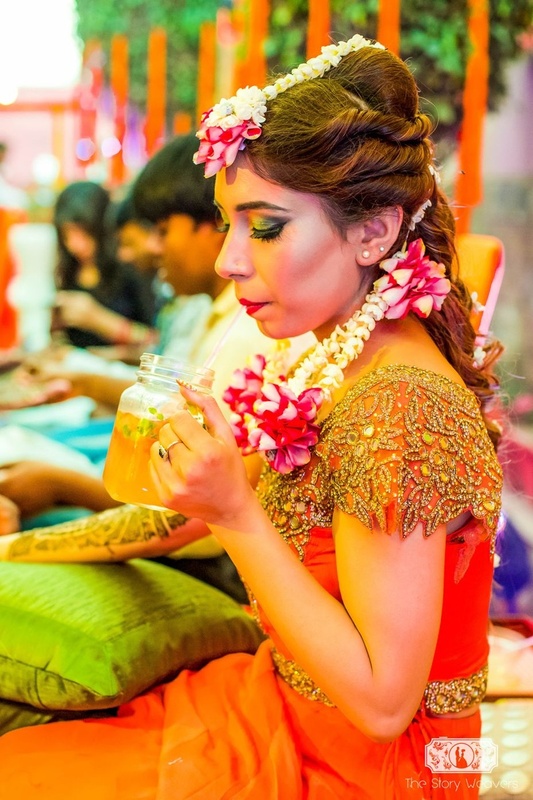 Cute hairstyle for the cocktail ceremony. 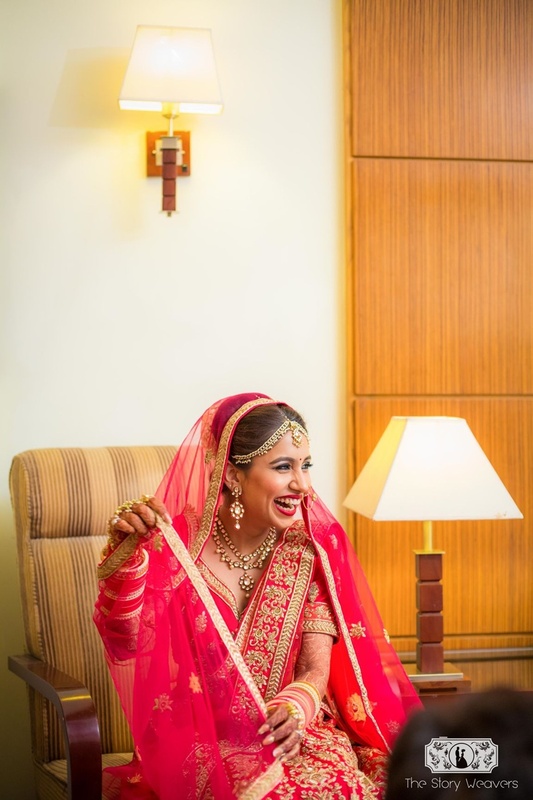 Wearing stylish long finger ring for the cocktail ceremony. 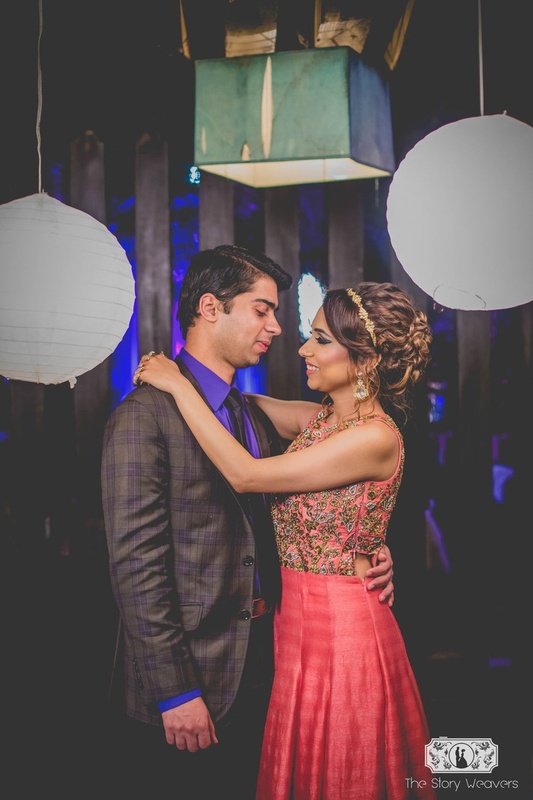 For the cocktail, Kunal wore dark brown coat paired with royal blue shirt. 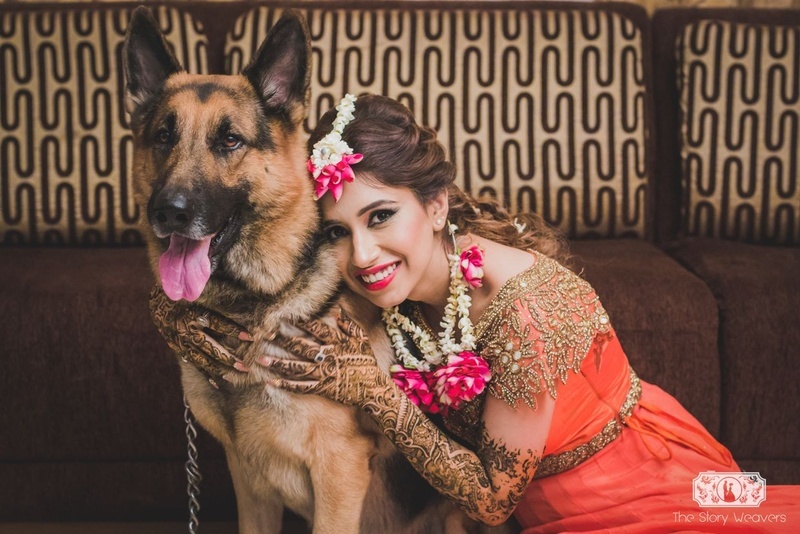 Bride and love for her cute dog. 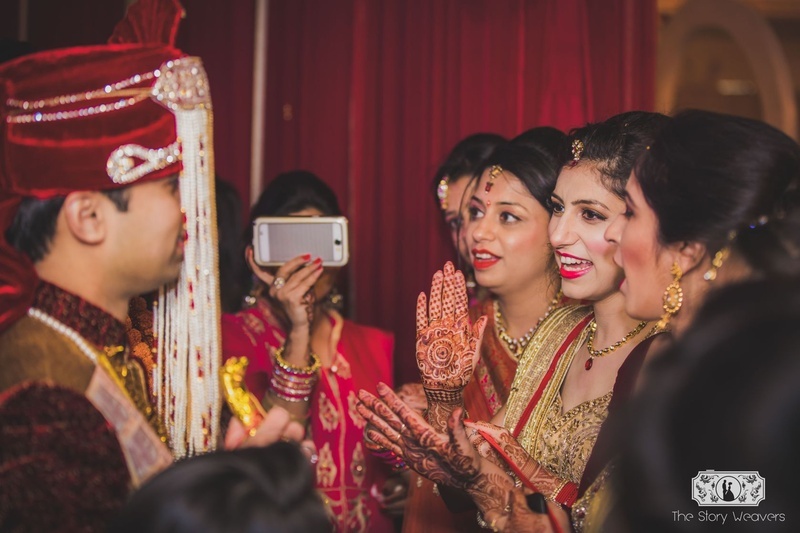 Intricate Ganesh bridal motif on bride's hand! 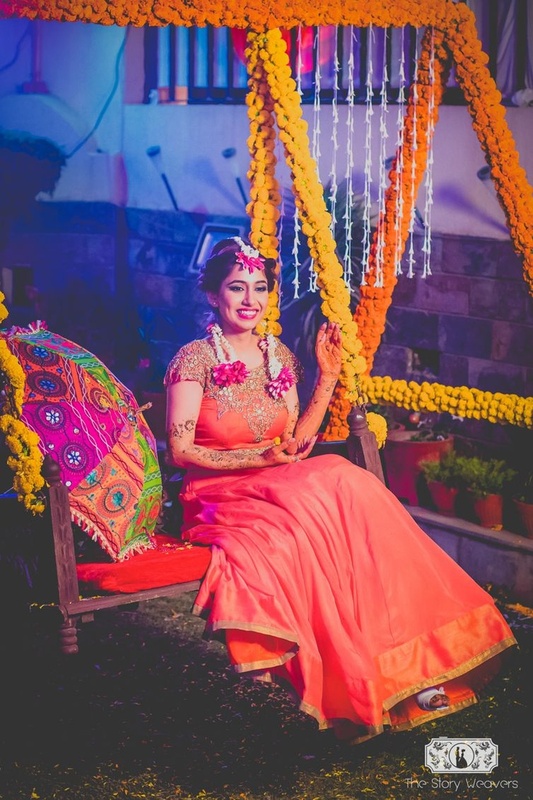 Adorned in peachy orange gown paired with beautiful floral jewellery and kala chashma for the mehendi ceremony. 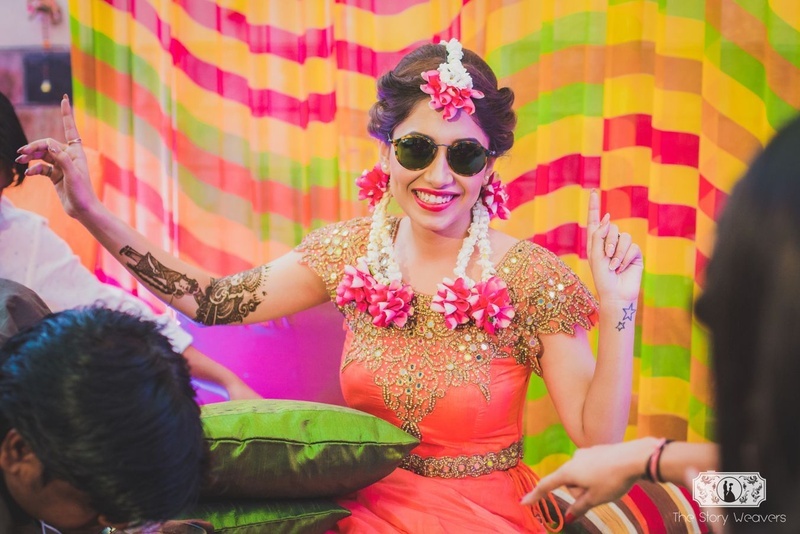 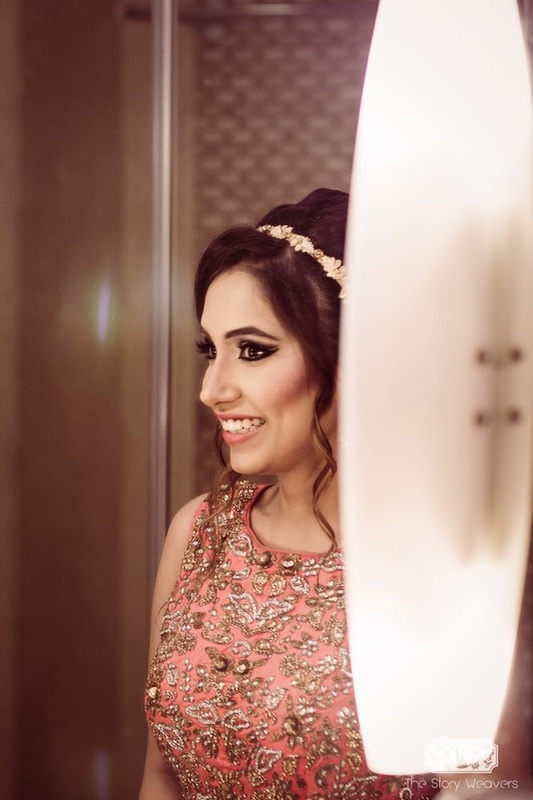 Bridal mehendi photography by The Story Weavers. 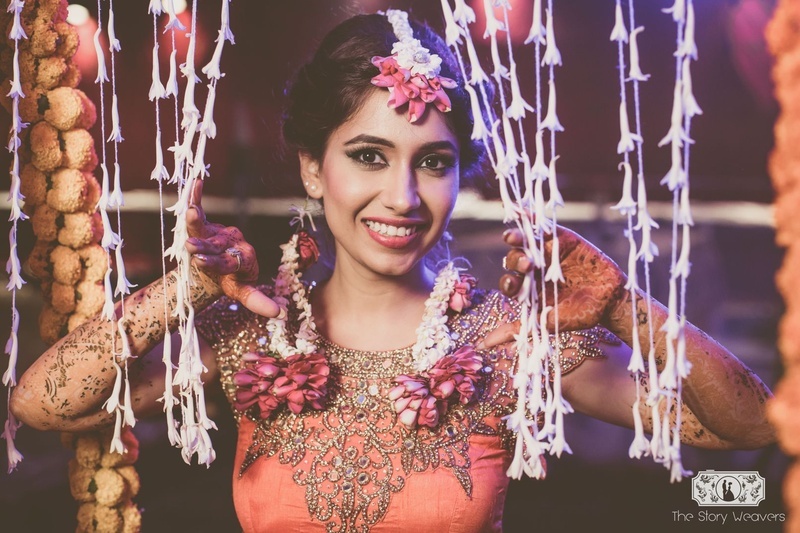 Adorned in pretty white and pink floral jewellery for the mehendi day. 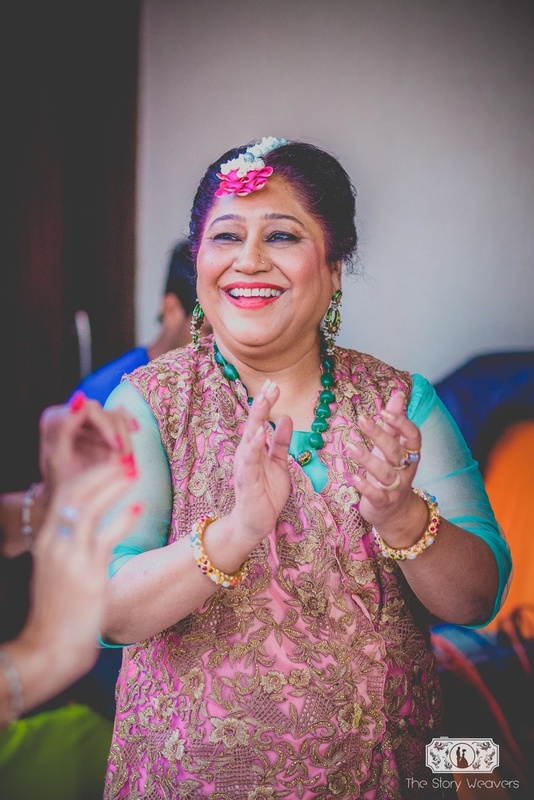 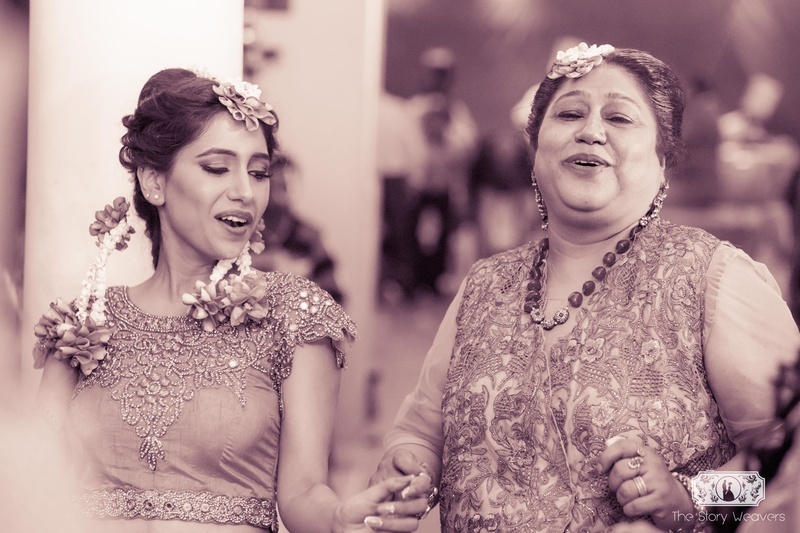 Bride and mom dancing at the mehendi ceremony. 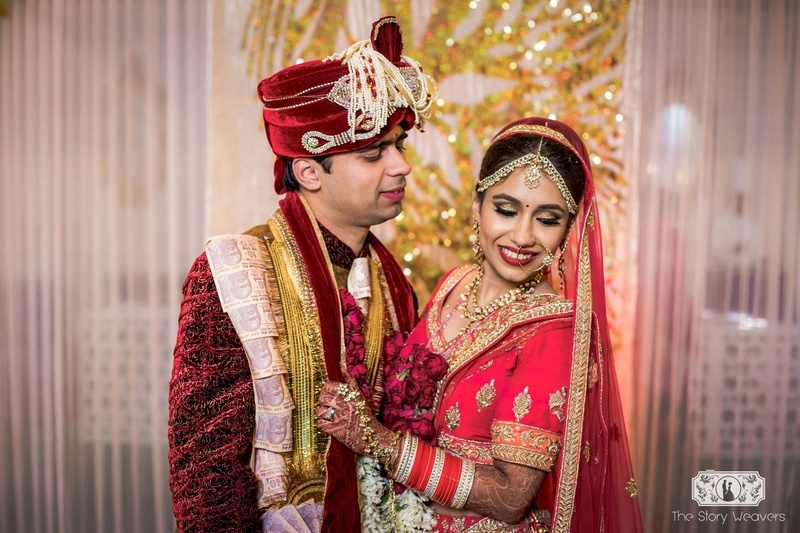 Kundan and pearl mathapatti ! 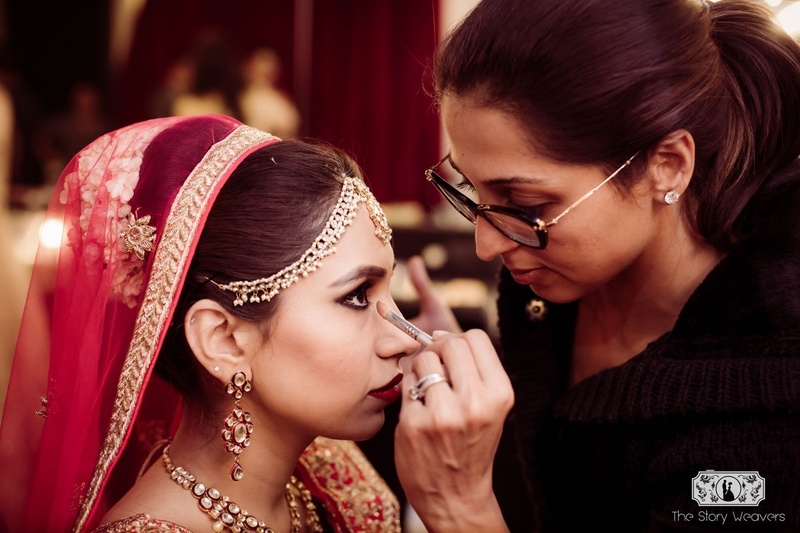 Getting her makeup done for the wedding day! 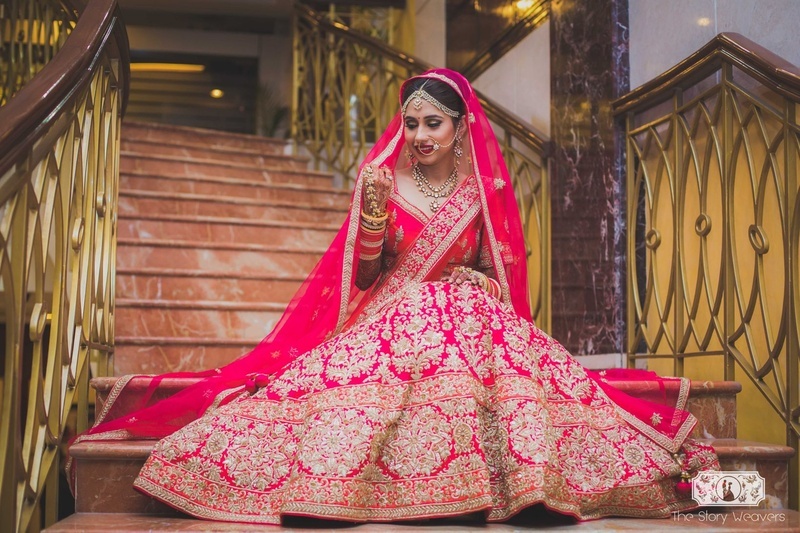 Adorned in regal red and golden lehenga by Shrangar, Delhi. 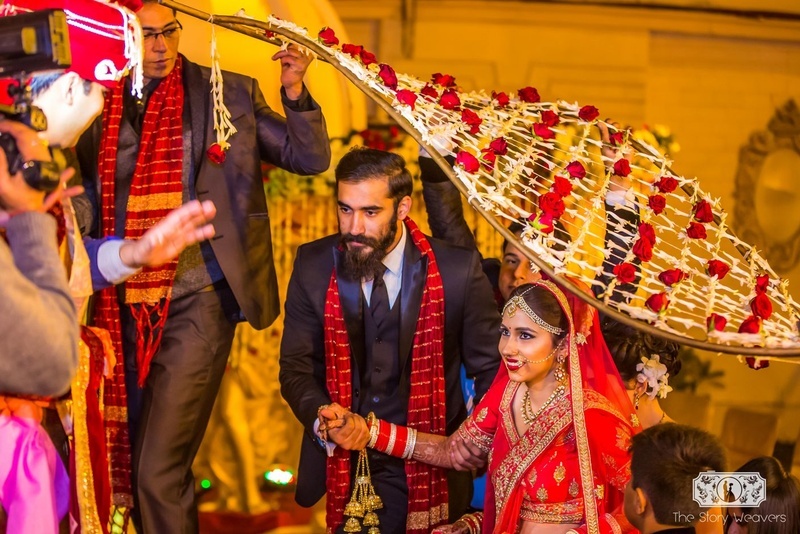 Bride's brother escorting her to the wedding mandap. 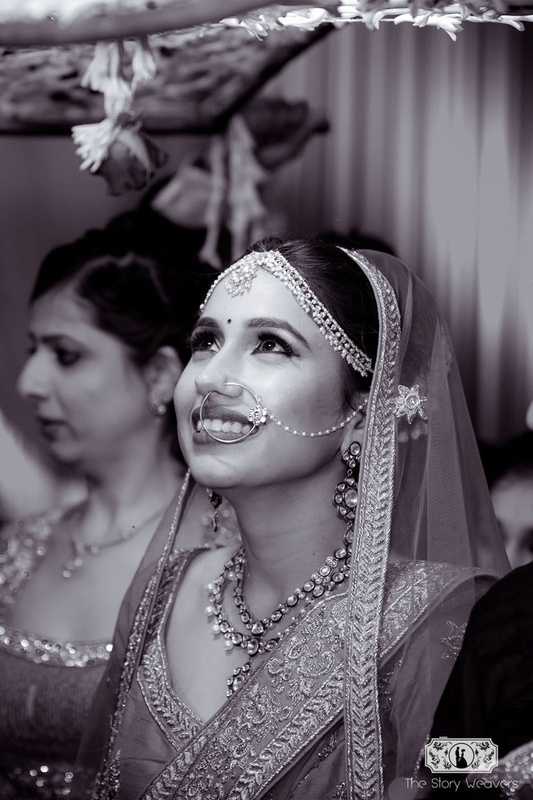 Black and white bridal photography by The Story Weavers. 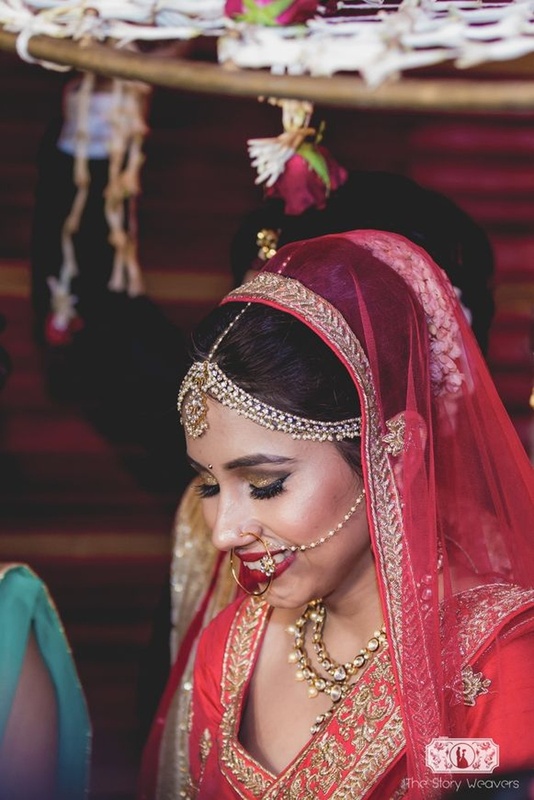 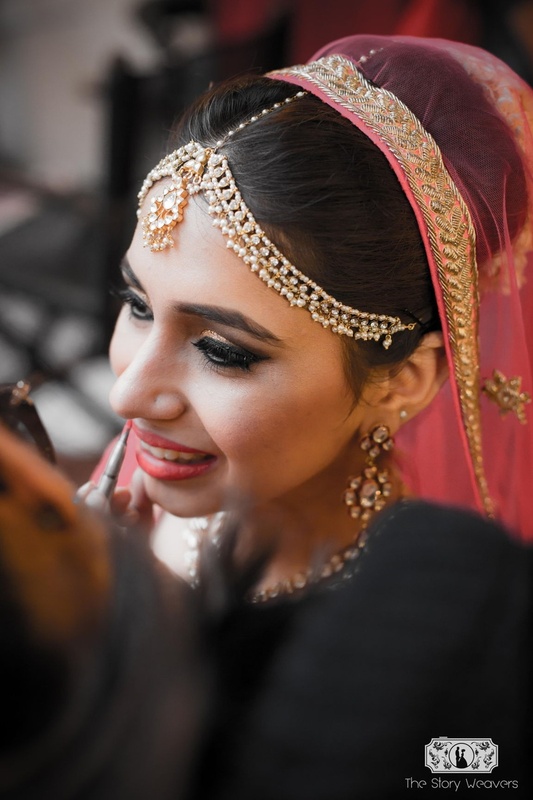 Beautifully decorated phoolon ki chaadar for bridal entry. 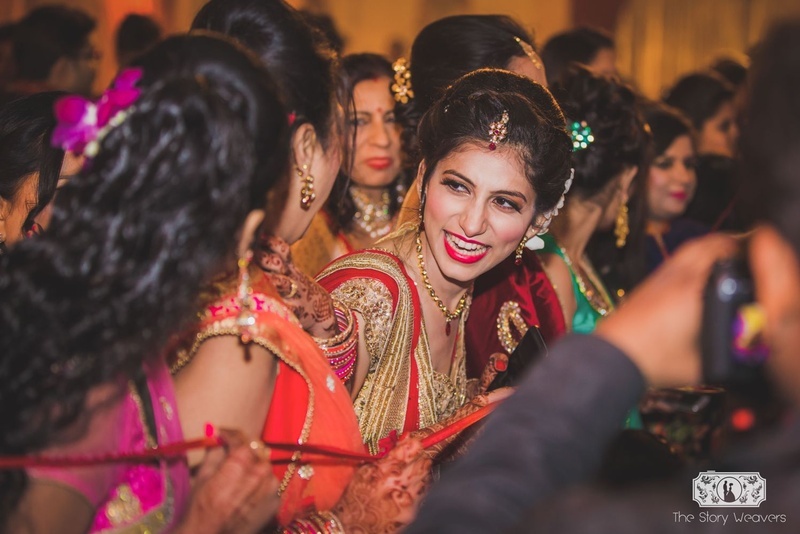 Pretty bridesmaids waiting for baraatis. 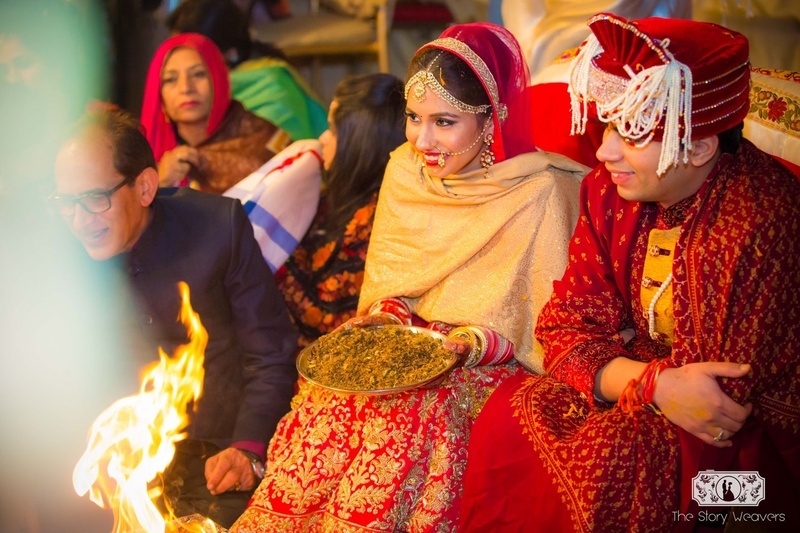 Varmala ceremony held at The Ocean Retreat, Chattarpur, Delhi. 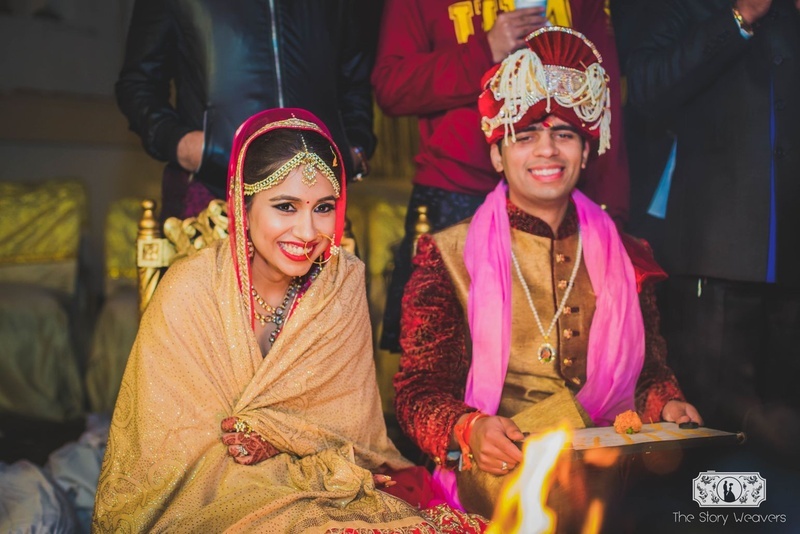 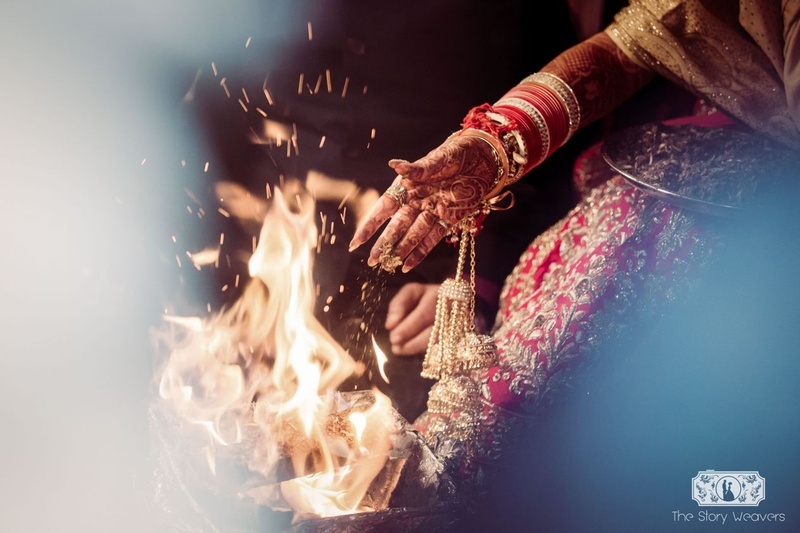 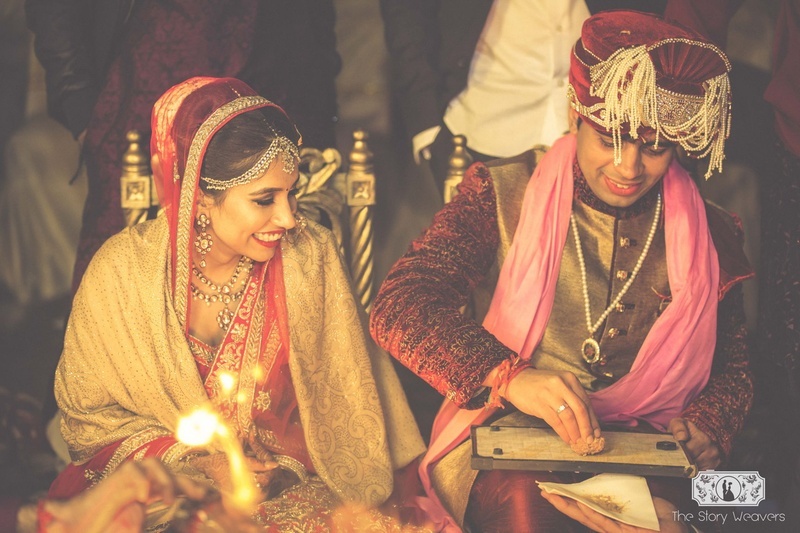 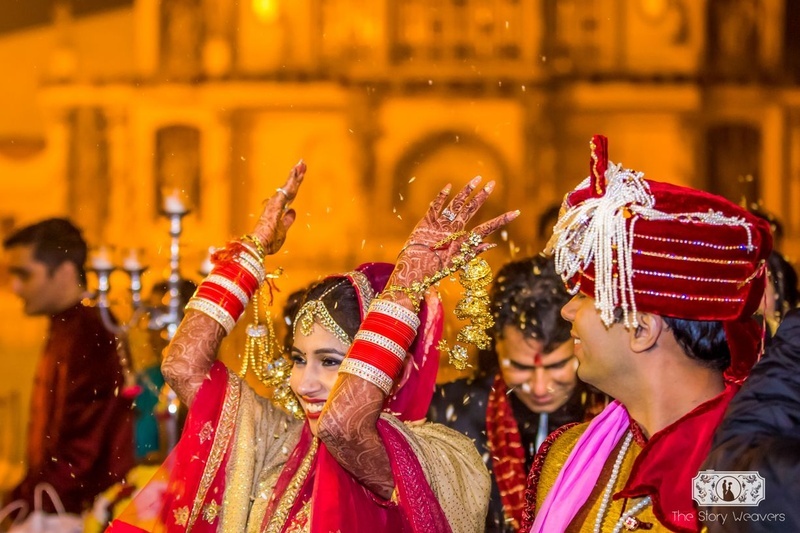 Warm and cosy winter wedding held at The Ocean Retreat, Chattarpur, Delhi. 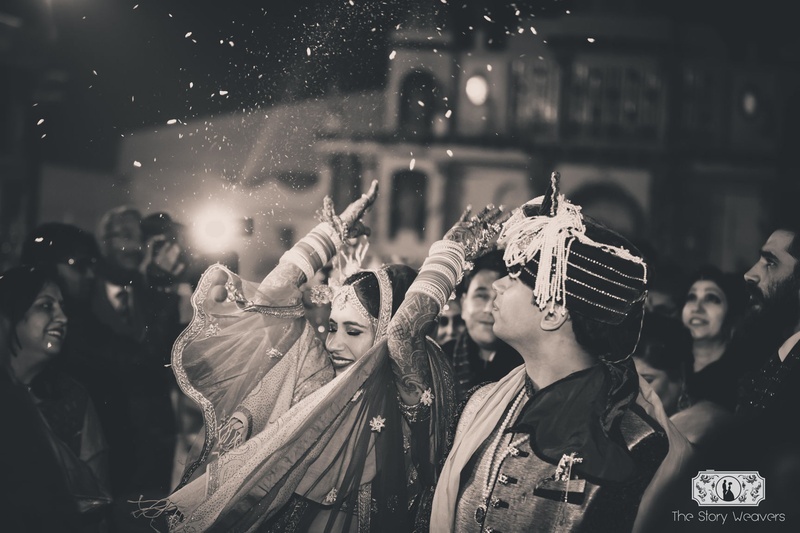 Black and white vidaai ceremony captured brilliantly by The Story Weavers. 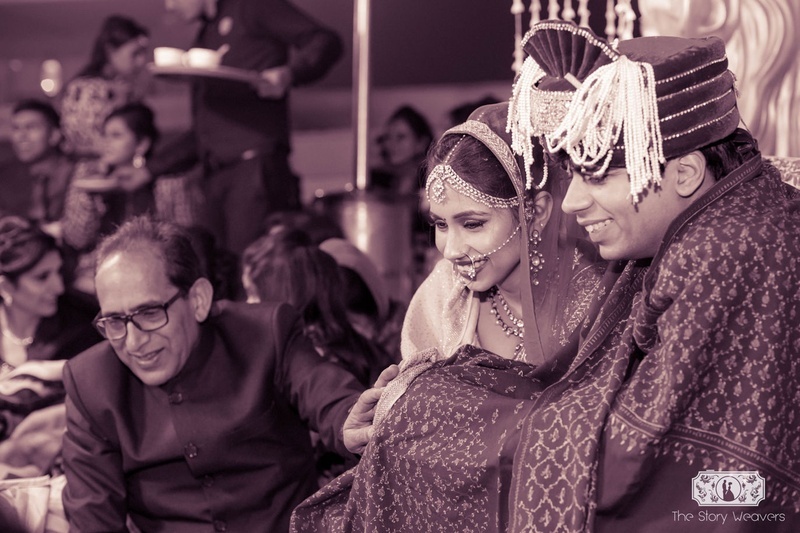 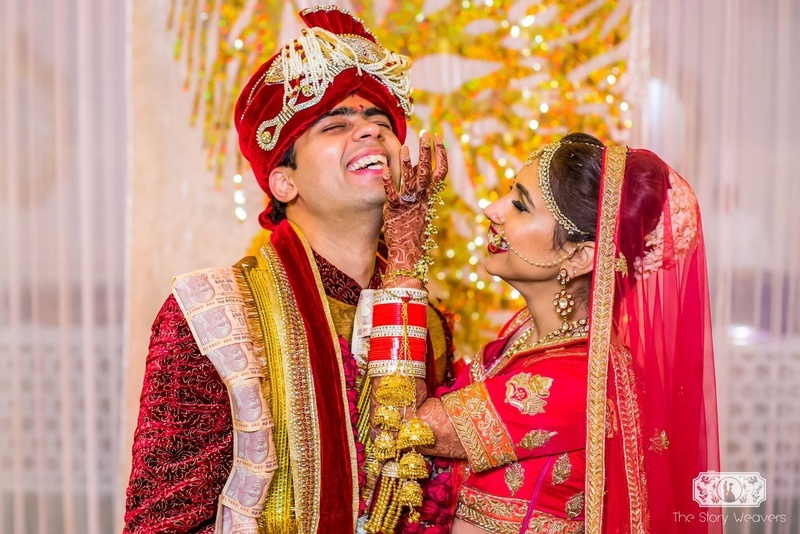 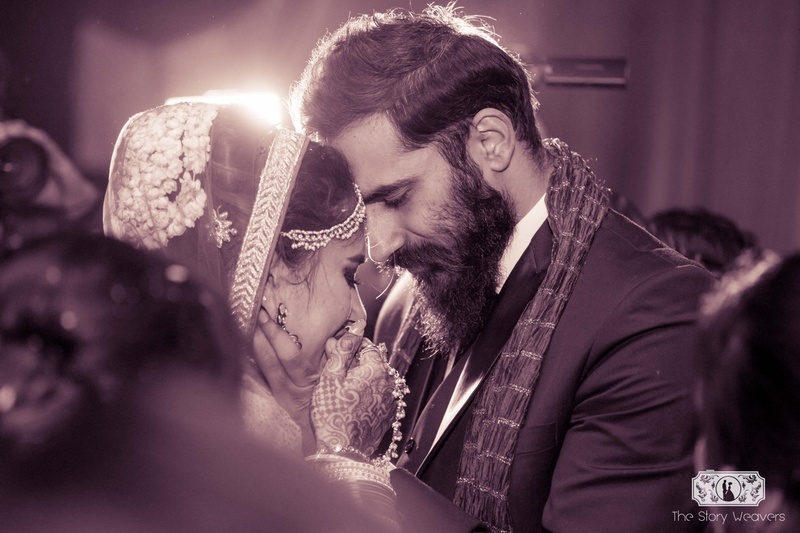 Bride and her brother's emotional vidaai moment captured brilliantly by The Story Wearvers. 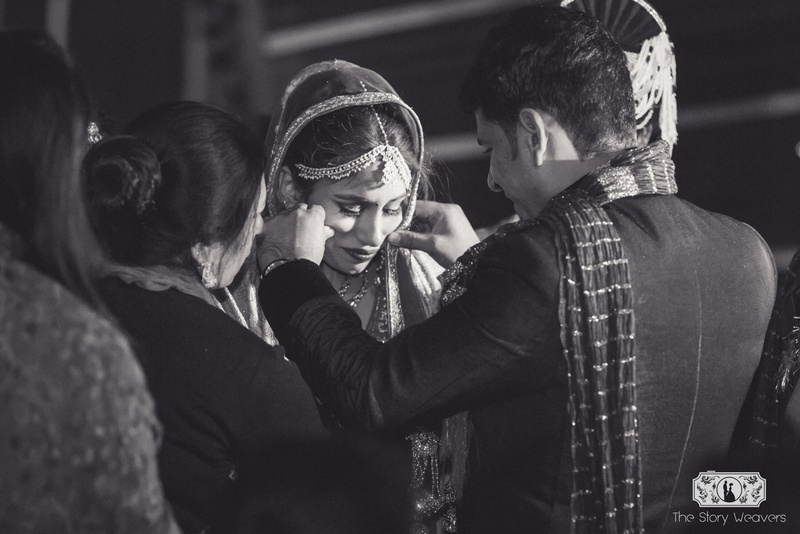 Black and white emotional moment captured by The Story Weavers. 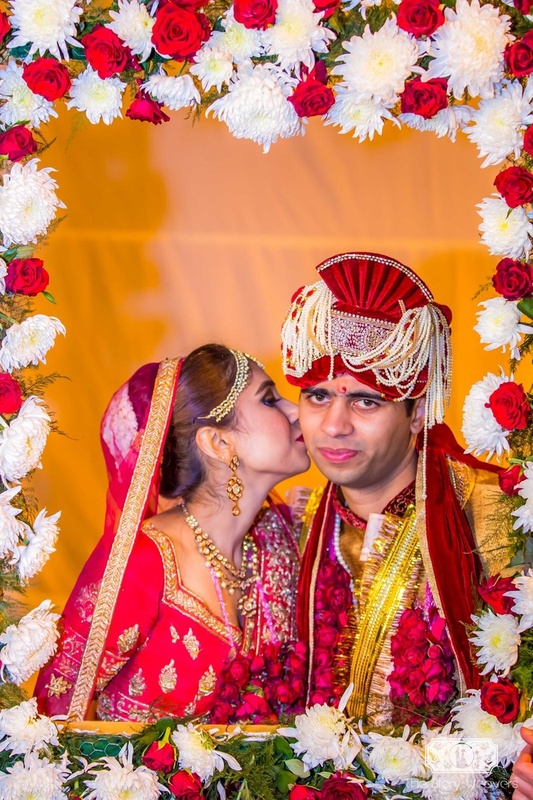 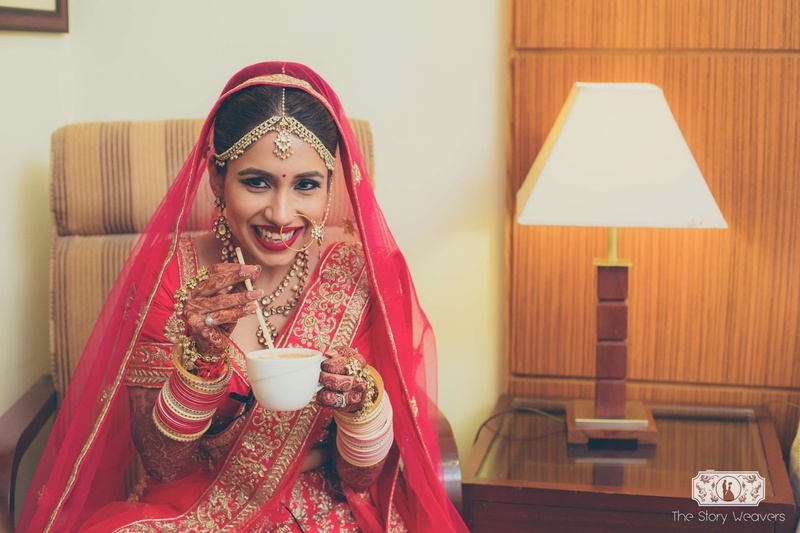 Bride and groom's cute moments captured by The Story Weavers.